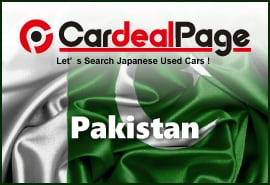 I bought my vehicle from "Cardeal page". It was my first experience to import Japanese vehicle in Pakistan. What made me suprise that nearly everyday they called me if there is a problem they can help me. I experienced that some companies, after they got their money they did not care you. But this company was different than others. The staff were so friendly. Whenever I call them they always helped me. Especially I want to give his name: Mr YUNUS. I dont know how to thank you. The vehicle you sent me was in perfect condition. You exactly did what you promise. And also the vehicle came on time. I strongly advice everybody that if you want to buy a car from Japan please dont hesitate to choose this company. They are trustful, friendly and so cooperative. I am sure you will not regret. Thank you again "Cardealpage" and thank you again Mr Yunus. Thank you very much for your positive thoughts about our company and our service. 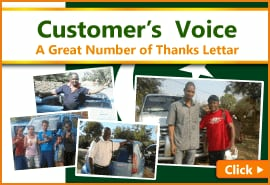 We are happy to hear that you received your car in excellent condition. I am confident this unit will serve you without any problem for a long time. Let us know if your colleagues or acquaintances need any car from Japan.